In this course, you will learn about the characteristics of bloodborne pathogens, such as HIV, diseases caused by these pathogens, and how they are transmitted. You will also learn the elements of an exposure control plan and how to prevent contact with or infection from contaminated body fluids. 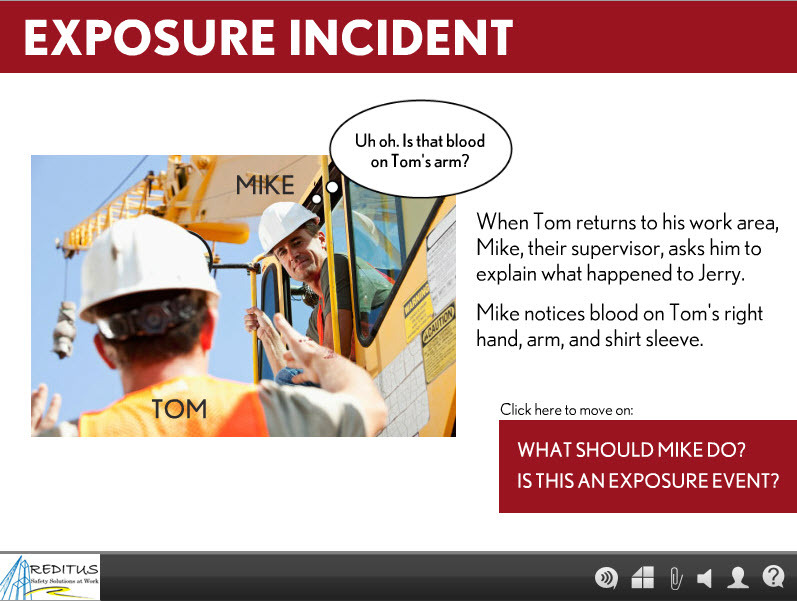 In addition, you will learn how to handle exposure incidents involving blood, and the signs, labels, and color-coding used to warn of biohazards and bloodborne pathogens. This training is provided to help employers provide a safe and healthful work environment for their employees and minimize the possibility of employee exposure to bloodborne pathogen.